Photo may not depict actual packaging. Please refer to our item description and review your order to ensure exact calibers and quantities. 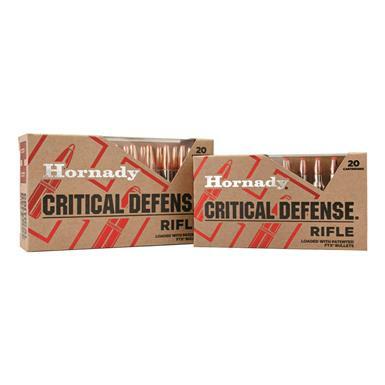 The best ammo choice for personal protection. You must be 18 years of age to purchase this item. This item cannot ship via any of our Next Day or Second Day Express delivery methods. Shipping restrictions apply to this product under some jurisdictions. Known age, state and local shipping restrictions are applied at checkout and may result in changes to an order. PLEASE NOTE: We do not accept returns of Ammunition for safety reasons. NEVER use any Ammunition unless it is specifically designed for your firearm. This item cannot ship to Canada. This item cannot ship internationally. Hornady® Critical Defense® Ammo is dependable in every situation. FTX® bullets offer quick expansion and limited penetration from self-defense rifles and are at their best in short-range defensive situations. The bullet’s Flex Tip® not only helps keep the nose cavity free from clogging. 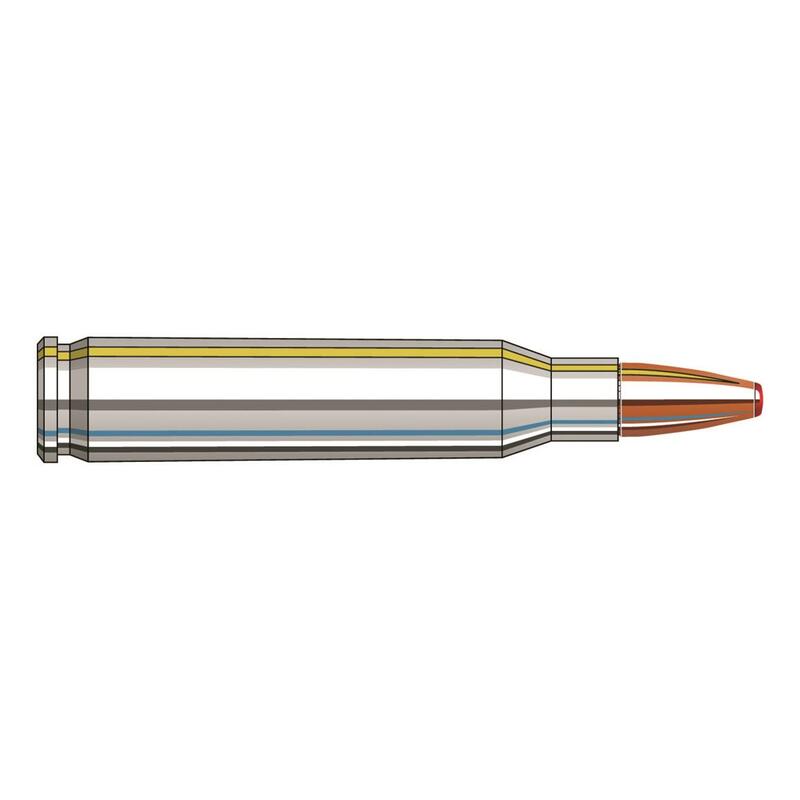 And nickel-plated cases that resist corrosion combined with propellants that burn quickly to reduce recoil and limit muzzle flash also enhance dependability. Bullet Weight listed in grains. Muzzle Velocity listed in feet per second. Muzzle Energy listed in feet per pound.